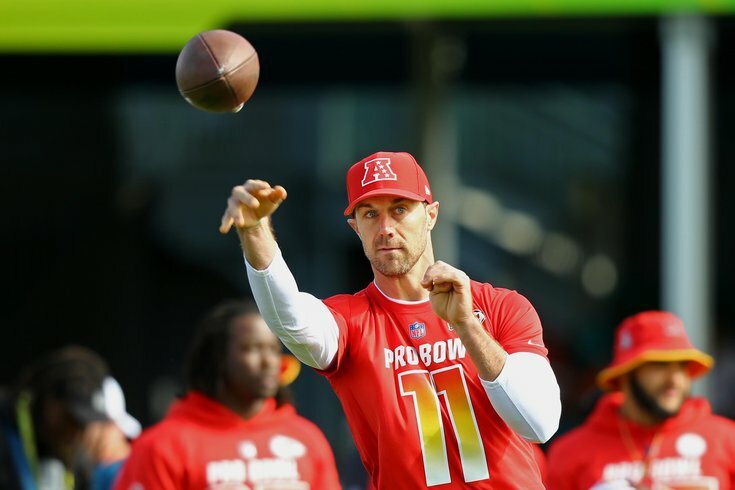 Alex Smith made the Pro Bowl this year, apparently. In a rather surprising move Tuesday night, the Kansas City Chiefs agreed to trade quarterback Alex Smith to the Washington Redskins for a third-round pick and cornerback Kendall Fuller. The Kirk Cousins era is over in D.C. The Redskins were in a terrible situation with Cousins' contract, as they had franchise tagged him in each of the last two seasons. Had they franchise tagged him a third time, they would have owed him $34.5 million in 2018. Cousins is not a part of the deal, but it is a certainty that he will now walk in free agency. In 2010, the Redskins traded with Andy Reid for 33-year old Donovan McNabb, a move that blew up on them spectacularly. Eight years later, they traded with Reid for another 33-year quarterback in Smith. This time, they reportedly also handed Smith a contract extension worth $70 million in guarantees. Smith had good numbers in 2017, but there's perhaps some logic in the notion that a mobile quarterback with below-average arm strength may not age well. Smith will turn 34 in May. Handing out $70 million in guaranteed money along with forking over a third-round pick and a good player for Smith's services is not the direction I would have gone, personally. Clearly, the Redskins felt that they were not in a good enough position to select one of the better quarterback prospects in the 2018 NFL Draft at 13th overall. By contrast, the Philadelphia Eagles were originally drafting 13th overall in 2016, when they made a pair of deals to put themselves in position to draft Carson Wentz second overall. Smith may very well be a modest short-term upgrade over Cousins, but this is a Redskins team that doesn't look anything like a Super Bowl contender anytime soon. It feels a lot like a panic move that should keep them mired in mediocrity.